We had the opportunity to play beside an Arizona Diamonback legend Tony Womack. 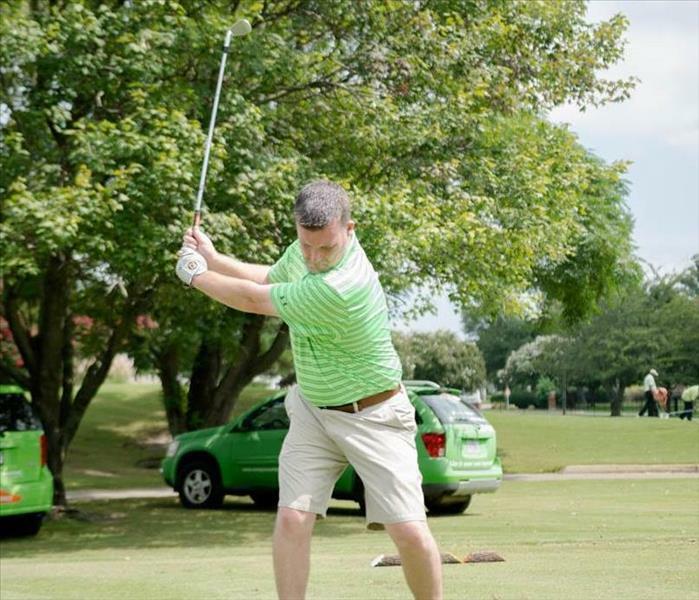 Our Business Development manager Jeremy had the opportunity to play in the tournament. 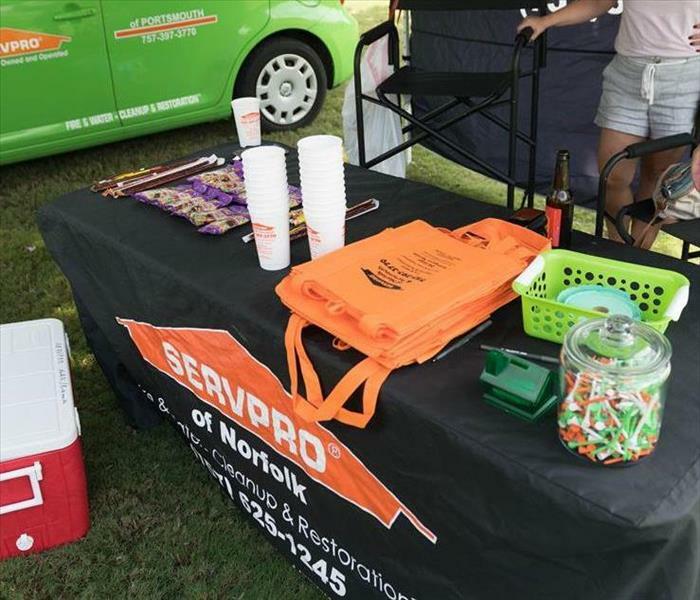 SERVPRO of Norfolk/Portsmouth had the opportunity to sponsor NSU golf tournament. 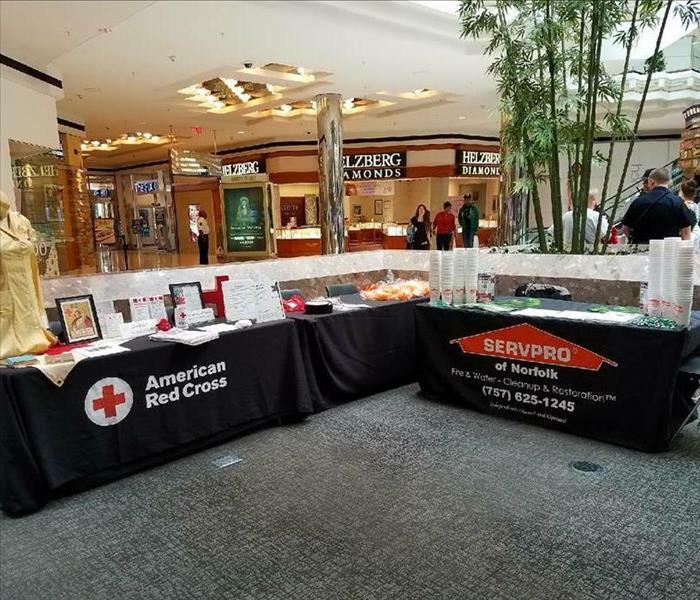 SERVPRO Portsmouth had the privilege to partner with our friends from the Coastal Region of the American Red Cross on Saturday at MacArthur Center in Norfolk. 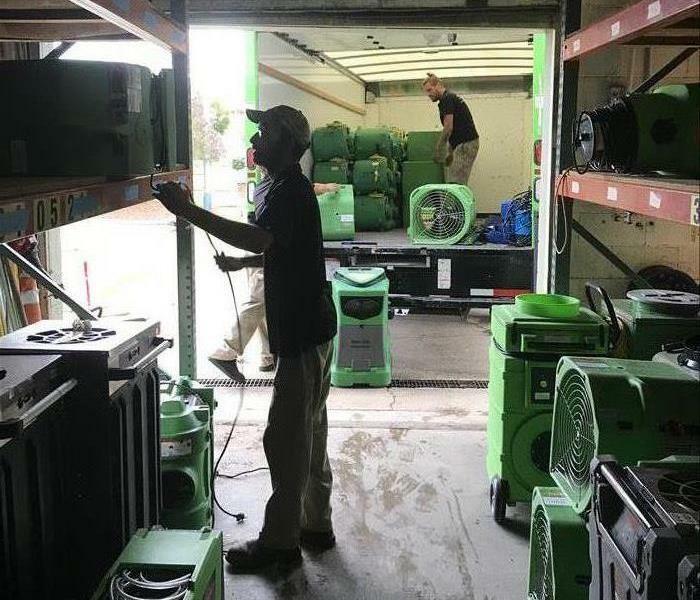 We were helping families be prepared in the event of a Hurricane. Last week was Hurricane Preparedness week and SERVPRO Portsmouth passed out free Emergency Preparedness Packs. Thanks to Red Cross and the MacArthur Center for a great event. 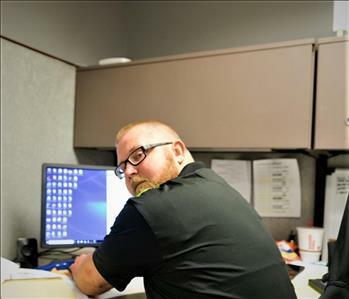 SERVPRO of Portsmouth celebrated our biggest Cinco De Mayo party ever this year. 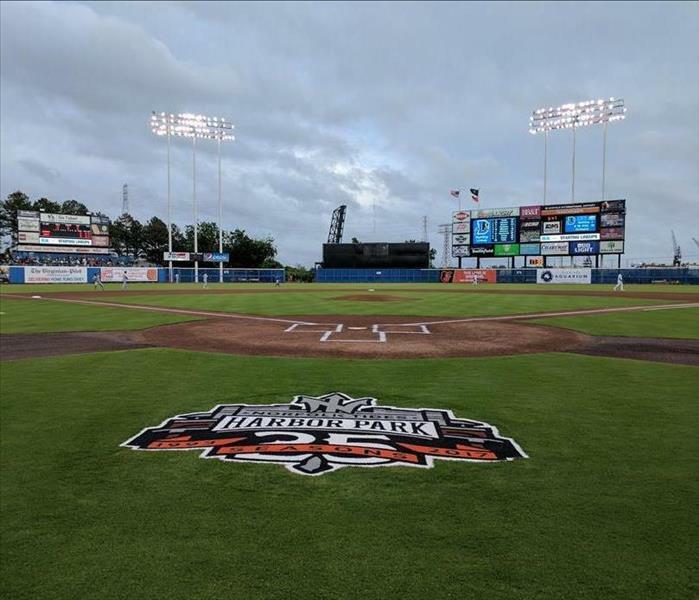 We had over 300 of our favorite friends join us at Harbor Park to watch the Norfolk Tides play the Durham Bulls. We had the entire picnic area to ourselves and enjoyed fun, food and a great ball game. SERVPRO of Portsmouth threw a Cinco De Mayo party at our office. Here are some people enjoying some of the delicious food under the main tent. 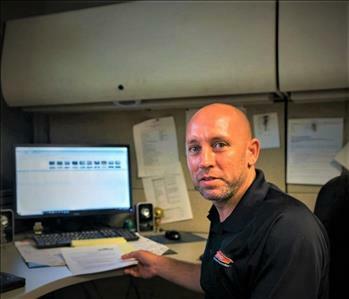 SERVPRO of Portsmouth threw a Cinco De Mayo Party. Here is the caricature artist at work. 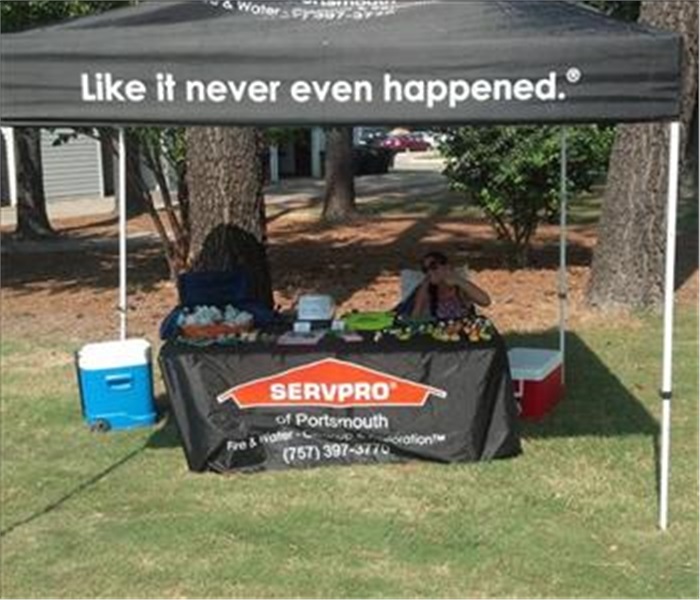 SERVPRO of Portsmouth threw a Cinco De Mayo party. Here is Josh showing off our prize wheel with the corn hole boards set up in the shop in the background. Joe and Elena went out to JANAF shopping center to help Z104 Stuff the Bus. 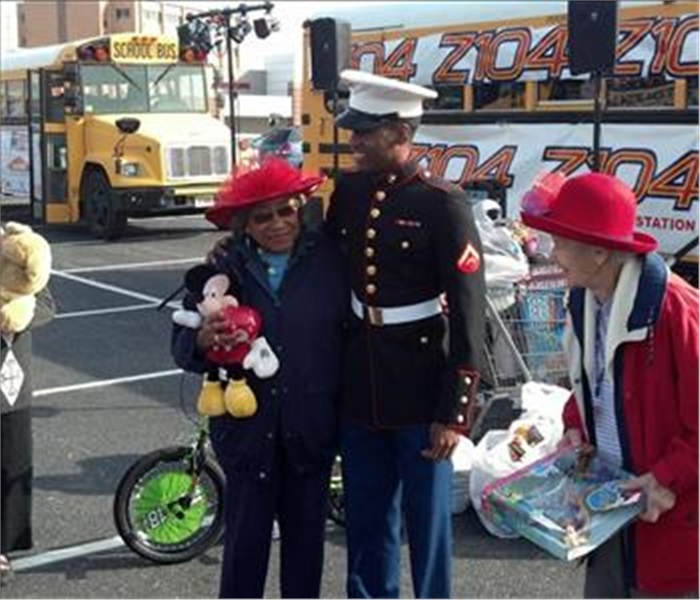 People from all over Hampton Roads came by to donate toys for Toys for Tots. 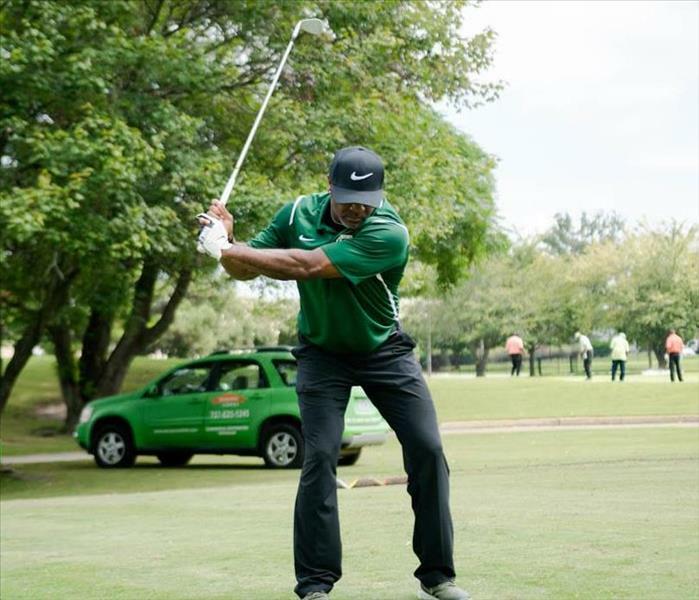 This event helped to collect 100,314 toys for children in need. 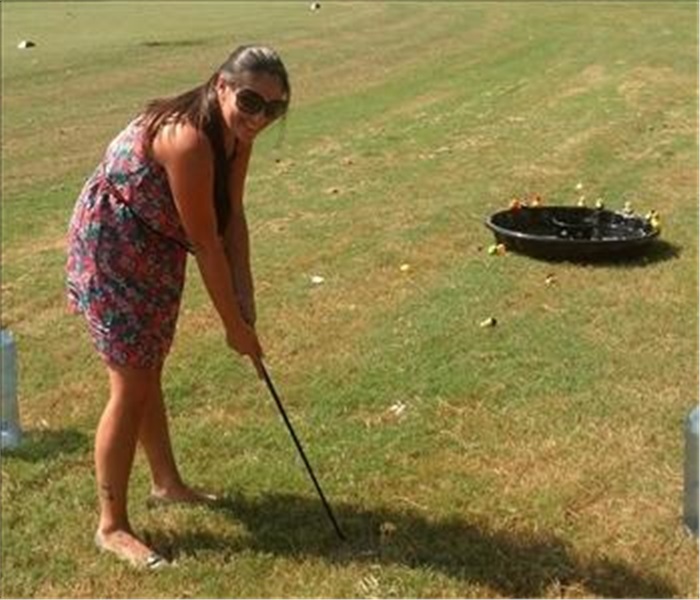 Here is our nice set up on hole three on what turned out to be a beautiful day. 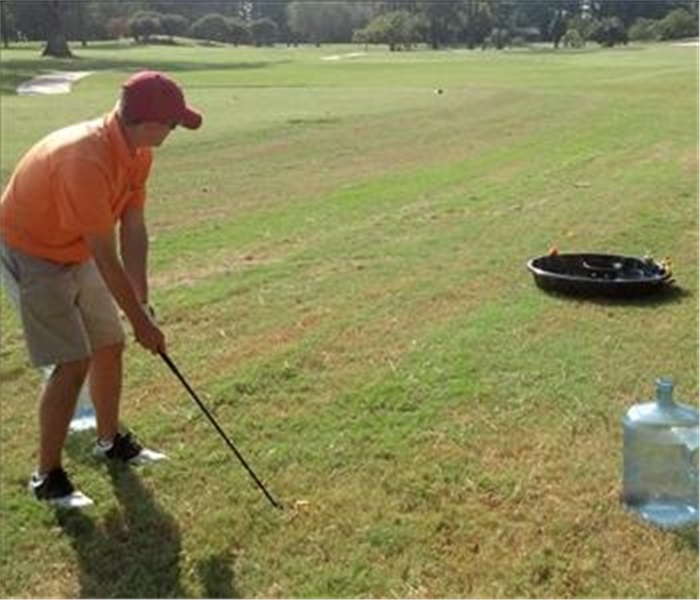 We had a little game going to see who could chip the rubber ducks into our "pond"
Even our marketer gave the game a shot! 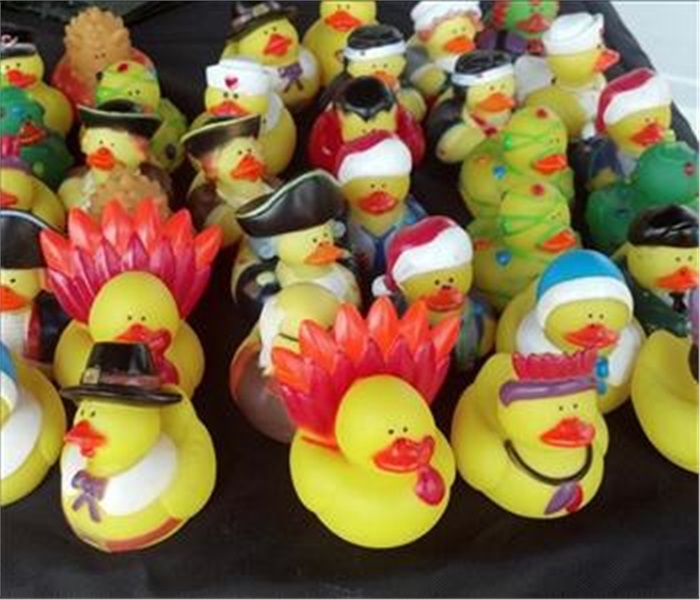 Here are the ducks about to go for a swim! Our stop on the scavenger hunt. We have our tent set up and we are ready for the bikers. Some of the Bikers pulling into our tent. Some of the bikers heading off to the next stop. Joe and Alicia at the SERVPRO tent. Vickie and Bailey before the walk. The beginning of the dog walk around Portsmouth. Some of the dogs were a little tired after the long day.